Corn quality and railroad performance have been the two main features in the grain world lately. Robust corn exports off the PNW has created a much needed and welcome demand boost, along with some basis opportunity; but all the demand leaves us prone to railroad performance. The snow and cold temperatures that occurred along the PNW corridor in February hampered BNSF movement, slowed them down considerably, and spiked car values. This created a logistics knot that has taken quite a few weeks to untie and pushed back loadings at our elevators as we waited for cars. Recently, the BNSF has finally started catching up and has been pushing in train after train close together, making it quite a challenging situation at our locations. Quality is the next big issue this year that we are struggling with. Early this winter it seemed the cold temperatures were causing the corn to crack and break but as the weather has warmed up we are still dealing with high amounts of FM. Perhaps this is related to growing degree days, the maturity of the corn, or maybe the speed of drying. Regardless of the reasons for it, we are continuing to struggle with quality and have a big book of trains yet to load in the coming months. We have taken discounts on everything from grades to screenings generated to demurrage on trains as loading has taken considerable effort. We appreciate your understanding and effort also as we’ve gone from sitting full waiting on trains to taking deliveries on extended hours to get these trains loaded. From a market point of view, next up is the March 29th acreage report. Trade guesses are for the U.S. to plant more soybeans than corn for the first time in over 30 years. Time will tell what the actual numbers will be but it is certain to cause some volatility in our already volatile markets. Planting season is right around the corner and we want to wish everyone a safe and productive spring! This material has been prepared by a sales or trading employee or agent of CHS Hedging, LLC. and should be considered a solicitation. This communication may contain privileged and/or confidential information and is intended only for the use of the individual or entity to which it is addressed. If the reader of this message is not the intended recipient, you are hereby notified that any unauthorized dissemination, distribution, and/or use of this communication is strictly prohibited. CHS Hedging, LLC. makes no representation or warranty regarding the correctness of any information contained herein, or the appropriateness of any transaction for any person. There is a risk of loss when trading commodity futures and options. There are many growth regulators on the market. Why choose CHS Unlocked? CHS Unlocked contains naturally derived Cytokinin, Auxins, and Gibberellins in the right balance to improve growth and development of many crops. Having the right balance is actually of more importance than having greater amounts when it comes to plant growth regulators (PGRs). PGRs are important because they induce cell division, stimulate cell enlargement, delay senescence (loss of cell division and growth), overcome stress and improve nutrient mobilization. 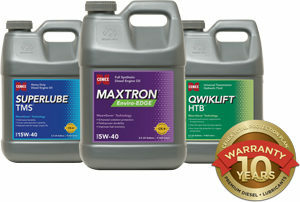 One feature that causes CHS Unlocked to stand out when compared to other products on the market is that it is naturally derived. This enables CHS Unlocked to be in a formulation that “fits” into the plant receptors, due to its natural derivation. This enables quicker uptake and thus increased activity. Bottom line is increased ROI. 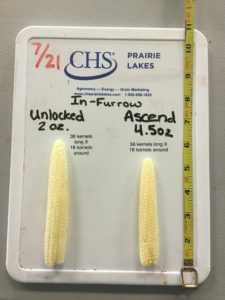 Below is a photo of CHS Unlocked compared to a competitive product, which was taken during the 2017 growing season at a trial in Staples, MN. You can easily see the difference CHS Unlocked makes in the plant! Interested in learning more about CHS Unlocked? Contact a member of our agronomy staff for more information about this product and what else CHS can do to support your farm in 2018! Argentina is all the rage and all eyes are focused on it, as the country has driven the market well beyond most forecasters’ expectations. Rain makes grain; therefore, this week was the first time someone lowered expected bean yields out of Argentina since the drought started. This also shows us just how resilient people believe these crops can be. Still, any reduction in yield means more of an export market for those looking to export beans. Beans are $0.74 higher and corn $0.25 higher than they were on Jan 1st. Funds have now started to go long on beans and corn, positioning themselves to defend this rally. Slow planting progress on Brazil’s 2nd crop is leading corn to new highs. It appears Brazil is as wet as Argentina is dry. Marketing: Beans seem to find a high during the day/night before trailing off before the close of each market. This is the prime example of why you need to have offers in place with your marketer. Corn looks to finally test the magic $4.00 futures number as we push on that wall of resistance. It’s a large hurdle but one that, if overcome, should lead us to some great opportunities. As always with a weather driven market, be ready to make a move. For more on the current state of the markets and what contracting opportunities are available, contact a member of your CHS New Horizons grain team. Farm plans provide you with a good idea of your input expenses, which is helpful in securing any needed funding for the upcoming planting year. Creating a plan now and thinking through each of your fields makes spring go smoother. 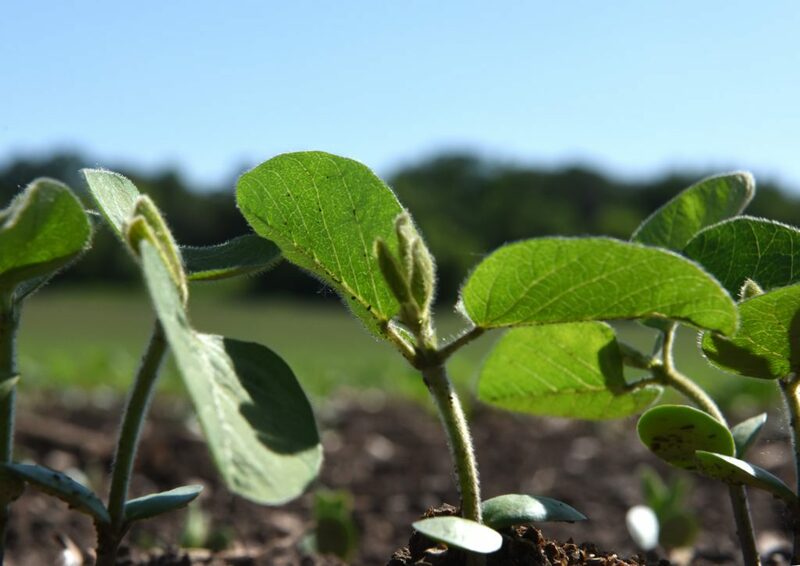 By knowing what crop you are planting where and what fertility, seed, and crop protection needs you may have on each field, you will be able to better plan for and respond to the rush of spring planting. It allows us to better serve you. Knowing what products and services you will need for the upcoming year lets us ensure we are adequately prepared, having the appropriate products and adequate staff to serve you. 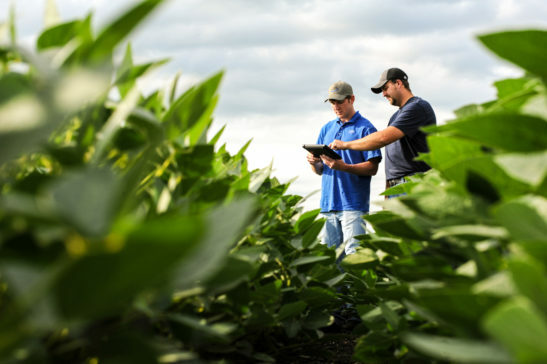 Talk to your personal Agronomy Sales Representative or a member of our agronomy staff to learn more about the farm planning process and to start your plan today! This year, farmers and production agricultural businesses have new options for health plan coverage. 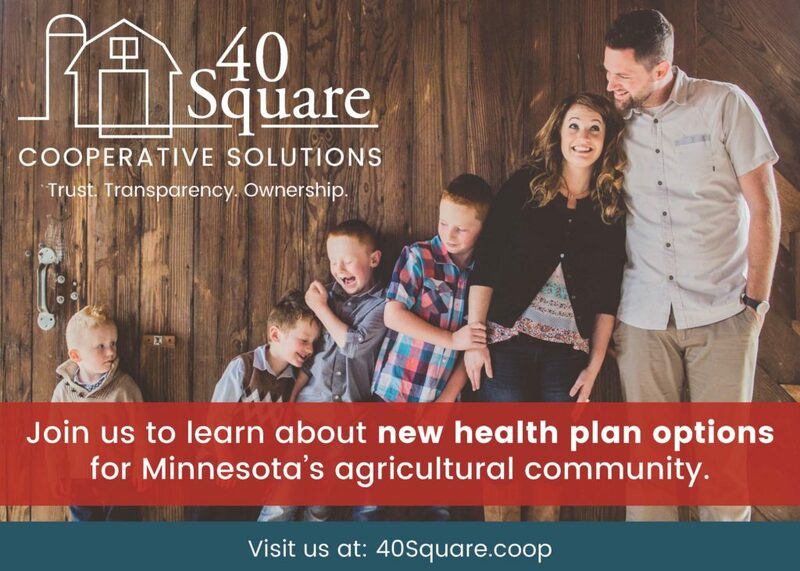 40 Square Cooperative Solutions (40 Square), Minnesota’s newest co-op for farmers, is offering self-funded health plan choices that strive for greater stability than the individual marketplace and ownership for the members it serves. 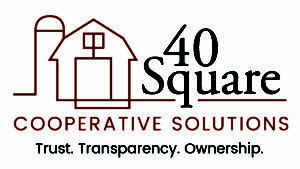 For more than 15 years, 40 Square has been a joint effort of two long-standing cooperative partners: Cooperative Network, the cooperative trade association for Minnesota and Wisconsin cooperative businesses and United Farmers Cooperative (UFC), a farm supply cooperative based in Winthrop, Minnesota. Several other organizations and agencies have supported the effort throughout the journey as well. 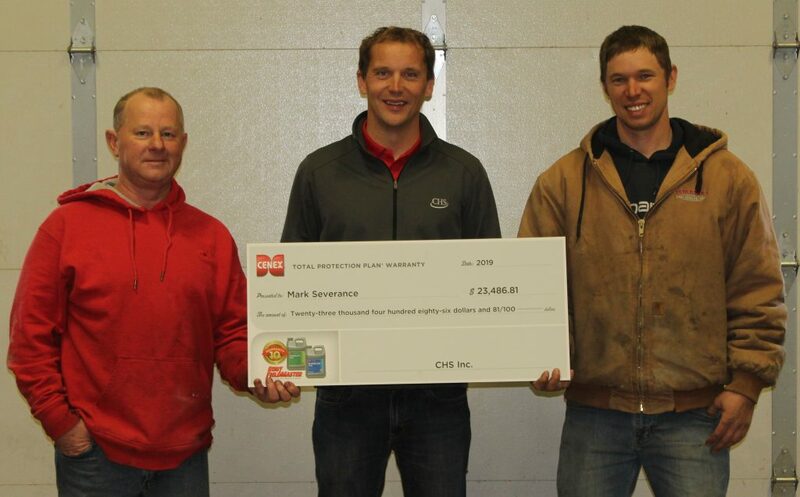 40 Square is based upon Cooperative Network’s successful efforts to create and establish the Farmers’ Health Cooperative of Wisconsin (FHCW), currently in its ninth year of operation. While 40 Square differs in structure from FHCW, both seek to offer their members health care plans, with the 40 Square Plan offering tools to help members make educated choices when seeking health services. To become a member of 40 Square, individuals must be a Minnesota farmer in production agriculture with one “Common Law” employee, file Form 1065 or Schedule F with their income tax returns or have a business that directly supports production agriculture. Membership then grants access to the health plans, which were designed based on survey feedback from what farmers were seeking from their health care organization. The health plans are self-funded and allows members to own and adjust the structure and features of their plans, as a group. All premium dollars remain in a trust, and if not used, the farmer-controlled board decides, based on feedback from the member-owners, on how those unused funds should be appropriated. Open enrollment season ends December 15, 2017, and interested farm families can run a quote online at 40Square.coop or work with a local insurance agent to get enrolled. To find out more information about 40 Square health plans or find an agent-partner in your area, visit 40Square.coop or call 1-844-205-9579. We’re all familiar with the challenges farmers face to gain access to affordable health care options. Join the team at 40 Square to learn more about what opportunities are available for you! Find location details on their invitation postcard.